85 per cent of businesses will have migrated before the year ends. Businesses will move to Windows 10 faster than they have moved to previous operating systems, according to a new report by Gartner. Surveying businesses everywhere, Gartner believes 85 per cent of businesses will have migrated to Windows 10 before the year ends. First of all, Gartner’s research director Ranjit Atwal says the time to evaluate and deploy Windows 10 has come down, from 23 months to 21 months. Large businesses that are yet to start the migration, are delaying because of legacy applications. "Large businesses are either already engaged in Windows 10 upgrades or have delayed upgrading until 2018,” he says. “This likely reflects the transition of legacy applications to Windows 10 or replacing those legacy applications before Windows 10 migration takes place." Security (49 per cent) is the number one reason why businesses decide to go for Microsoft’s latest operating system, followed by cloud integration capabilities (38 per cent). As usual, money’s the problem. 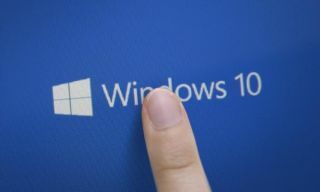 "Windows 10 is not perceived as an immediate business-critical project; it is not surprising that one in four respondents expect issues with budgeting," said Mr Atwal. "Respondents' device buying intentions have significantly increased as organisations saw third- and fourth-generation products optimised for Windows 10 with longer battery life, touchscreens and other Windows 10 features. The intention to purchase convertible notebooks increased as organisations shifted from the testing and pilot phases into the buying and deployment phases," said Meike Escherich, principal research analyst at Gartner. Full report, entitled User Survey Analysis: Windows 10 Migration Looks Healthy, can be found on this link.